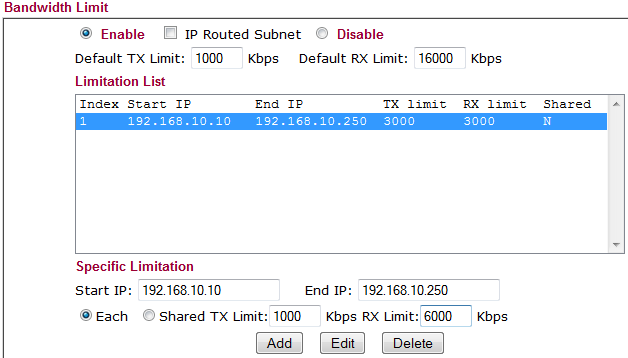 There are two main methods for limiting bandwidth, you can limit per SSID or per IP(range). Per SSID will limit the entire SSID to a particular speed, whereas limiting per IP you can choose from shared or per IP which seems like the more sensible option. Both methods work as described and are great in a guest wireless situation. 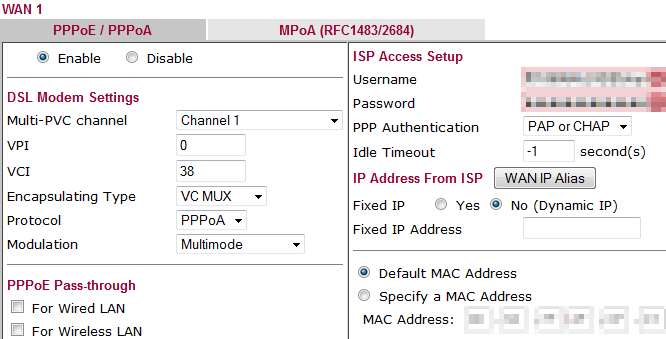 The feature list of this router is pretty impressive, I was also able to connect a printer via the USB port to share, set-up VPN for remote support and various other helpful bits and pieces you won’t normally find without spending a little more. At £220 or so and with it’s feature set I can see it fitting well into a small office environment.